Start and end in Port Moresby! 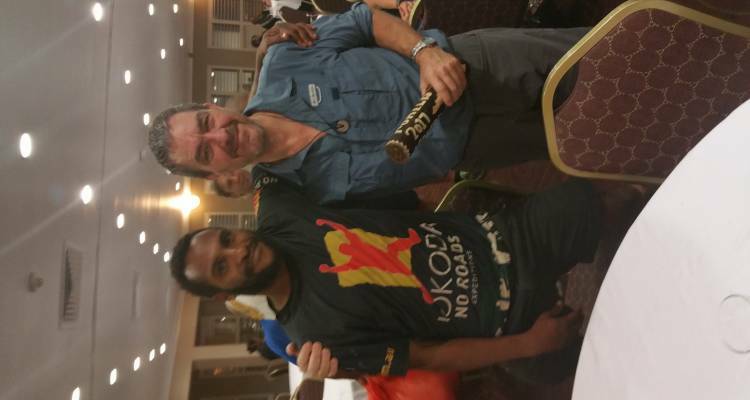 With the hiking & trekking tour Kokoda Full Track Schools Village Stay, you have a 12 day tour package taking you through Port Moresby, Papua New Guinea and Kokoda. Starting from $2260.65, Kokoda Full Track Schools Village Stay is 35% cheaper than the average 10-14 day tour through Papua New Guinea. Thanks Ronnie for your message. I know it was a tough time for you out there but I am glad that our team rallied behind you. There is so much more to an emergency than just that immediate event. The care after the event for days sometimes is more difficult than the actual emergency. I am glad you are feeling well and maybe you can return to Kokoda one day. Thanks Ronnie. Recommended for Papua New Guinea. Ideally 2 weeks before travel. Recommended for Papua New Guinea. Ideally 3 months before travel. Recommended for Papua New Guinea. Ideally 2 months before travel. Recommended for Papua New Guinea. Ideally 1 month before travel. Certificate of vaccination required if arriving from an area with a risk of yellow fever transmission for Papua New Guinea. Ideally 10 days before travel. Start and end in Port Moresby. TourRadar only requires a deposit of $99 to confirm this No Roads Expeditions booking. The remaining balance is then payable 60 days prior to the departure date. For any tour departing before 20 June 2019 the full payment of $2,261 is necessary. No additional cancellation fees! You can cancel the tour up to 60 days prior to the departure date and you will not need to pay the full amount of $2261 for Kokoda Full Track Schools Village Stay, but the deposit of $99 is non-refundable. If you cancel via TourRadar the standard cancellation policy applies. Some departure dates and prices may vary and No Roads Expeditions will contact you with any discrepancies before your booking is confirmed. Covering a total distance of approx 180 km. TourRadar does not charge any additional cancellation fees. You can cancel the tour up to 60 days prior to the departure date. If you cancel your booking for Kokoda Full Track Schools Village Stay via TourRadar the standard cancellation policy applies.